Philip Anthony Neville Cox, of Brighton, Sussex was born in Patcham near Brighton on 21st July 1915 and went to Brighton Hove and Sussex Grammar School. He joined the RAF as an Aircraft Apprentice at No. 1 School of Technical Training, Halton in September 1932. He passed out in August 1935 as a Fitter. He won a place at RAF College Cranwell and started there in September 1935 as a Flight Cadet. He was awarded the RM Groves Memorial Prize in 1937. 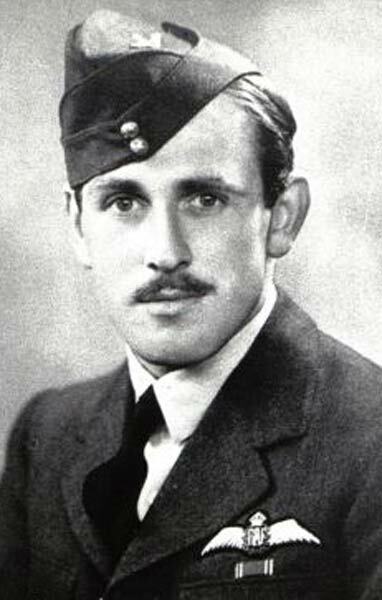 After graduating in late July 1937, Cox was posted to 43 Squadron at Tangmere. On 17th January 1939 he went to 11 Group Pool, St Athan as an instructor and was made OC ‘C Flight on 28th August. He was later attached to the AFDU, Northolt for instruction on air tactics. In May 1940 Cox was at 6 OTU, leaving there for Hendon on 6th June for onward posting to France where he joined 501 Squadron as a Flight Commander. The squadron was withdrawn on the 18th from Dinard and operated on the 19th from Jersey, covering the BEF evacuation from Cherbourg. It re-assembled at Croydon on the 21st. Cox claimed a Me109 destroyed and shared in the destruction of another on 20th July. In combat over Dover Harbour on the 27th Cox was shot down in Hurricane P3808 by Fw. Fernsebner of III/JG52 and reported ‘Missing’. At the time Cox was thought to have been a victim of the Dover anti-aircraft guns. He was 25. 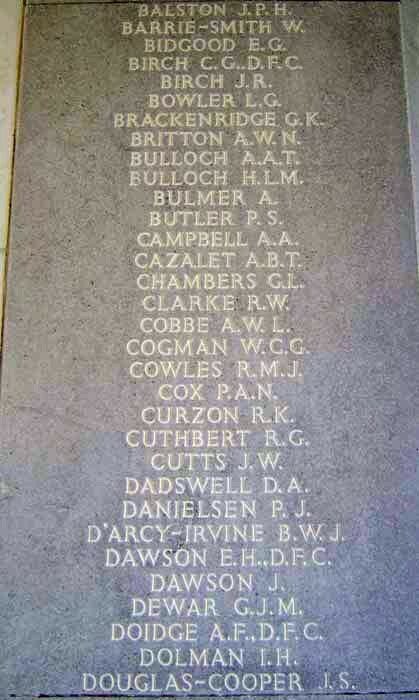 His name is on the Runnymede Memorial, panel 5.